Hats off to Claire Danes in Pygmalion! 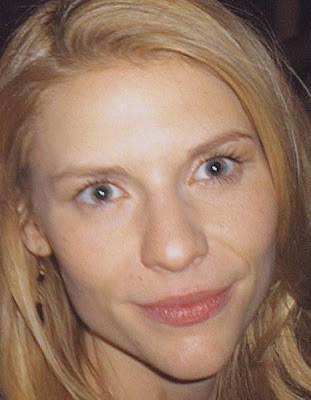 "I love Claire Danes," exclaimed my niece Jaime with delighted glee as an ear to ear smile lit up her beautiful face when I told her, her birthday gift was an evening at the theatre. Her excitement mirrored my own when I first saw ads for George Bernard Shaw's classic "Pygmalion" featuring Dane's handsome head shot. Claire Danes coming to Broadway! I had to see her. Her guileless innocent face first captured my attention in Romeo and Juliet directed by Baz Luhrmann. Oblivious to the clash and clamor of party preparations criss-crossing around her, she effortlessly navigated between her emotional overwrought mother and hysterical nanny. She won me over. I am a fan for life. Any play by Shaw is demanding, as it is difficult to "preach" his ideals while keeping an audience entertained and awake, so I was doubly impressed by her desire to stretch command of her craft by appearing in one of his best known works for her Broadway Debut. Hat's off to Claire. Dane's working class Liza is more true to Shaw's character than the street urchin turned aristocrat in the musical, My Fair Lady. When she goes toe to toe in a successful dual of wits with Henry Higgins in his mother's drawing room, there is no chance that this young lady, with newly awakened confidence, would eagerly bring Higgins his slippers as in the Hollywood "happily ever after" final scene. Yet hers is not a feminist declaration. Jefferson Mays' Higgins gives the play a facelift and brings it right into the 21st century; Immediately recognizable, he is an arrogant, petulant, naughty teen-ager (though at least in his late thirties) who stubbornly refuses to grow up. Mrs. Higgins (Helen Carey), Liza's dad Alfred (Jay O Sander's) and Colonel Pickering (Boyd Gaines) with their quick repartee and elegant costumes engage and amuse. My only question. In the final scene, where Liza finds refuge at the home of Henry's mother, she enters in a rather drab morning dress, appropriate enough for receiving visitors in the drawing room; She then announces she must leave to get ready to attend her father's wedding, however she returns in the same dress with only the addition of gloves and purse. After the many elegant costumes in this production, why did David Grindlay(director), and Jonathan Fensom(costume-set designer), choose to end the play with Liza in that dress? An attractive walking suit or long flowing coat would have completed the picture more appropriately, especially since Mrs. Higgins is elegantly decked out with an elaborate hat as the finishing touch; She looks like she is going to a wedding. Liza's final confrontation with Higgins would have had more impact if she were handsomely attired. "Pygmalion" is on Broadway only for a limited engagement. Mark your calendar now to see it by December 16th at the American Airlines Theatre. Here's hoping Claire will soon make a return visit. I would love to see her as Ibsen's Nora in "A Dolls House" or Strindberg's "Miss Julie." P.S. The theatre entrance is on 42nd Street; however, when you leave, exit on the 43rd Street side of the Orchestra level and you will come out near the back-stage door. Wait a bit and the stars will exit. Then do what Jaime and I did, ask them to autograph your Playbill. Stay tuned for what many of you have been asking for, Restaurant recommendations in the Theater District. Address to Remember: The American Airlines Theatre, West 42nd Street, New York, NY 10011. 212-719-1300, http://www.roundabouttheatre.org/.